Spring in Japan can only mean one thing... cherry blossoms. The most popular time of the year to visit Japan, the atmosphere at this time of year is infectious, with parks packed with revelers as the cherry blossom (or sakura) "front" sweeps along the length of the country. Take a selection of picnic food and drinks and join the locals for a hanami - or "flower-viewing". This tour has been designed for travellers with the luxury of time. Our 21 Day Grand Tour of Japan visits the many fascinating cities on the Island of Honshu at a relaxed pace. Efficiently transporting from one city to another is part of the joy of Japan travel as you swiftly board high speed bullet trains. Our advice is if you have a chance to visit Japan just once in your lifetime, our 21 Day Grand Tour of Japan will ensure you see the major highlights of Japan in one visit. Get to see all the wonders of the cherry blossom season in Japan with this 16 day Complete Experience Tour. Starting from Tokyo, you will get to explore the biggest Japanese attractions in a wonderful adventure. Be the envy of your friends by spending two weeks touring Japan during the magnificent cherry blossom season. 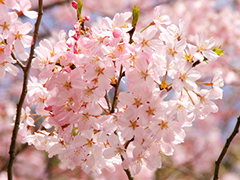 Hanami is the annual Spring celebration of cherry blossom watching held in each city during bloom time. Combine fascinating sightseeing in each city with a glorious backdrop of pink colours. Spring time is the best time to be outdoors in Japan and this tour will allow you to make the most of this wonderful opportunity. 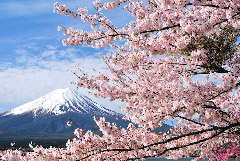 To see Japan in Cherry Blossom season is a truely unforgettable experience. Travel by bullet train down the length of the major island of Honshu from Hiroshima, Takayama, Mount Fuji to Tokyo with a stay of 2 or 3 nights at each stop. Subject to the warmth of the season, see the famous Cherry Blossoms all along the way. 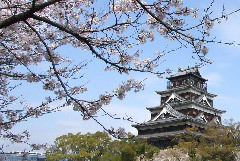 Experience Japan at its most beautiful with our 7 Day Cherry Blossom Tour. 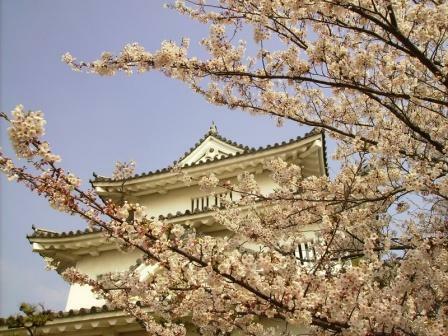 Weather and luck permitting the cherry blossoms will be in full bloom in either Kyoto or Tokyo during your stay. Cherry Blossom season is from the middle of March to the middle or April.